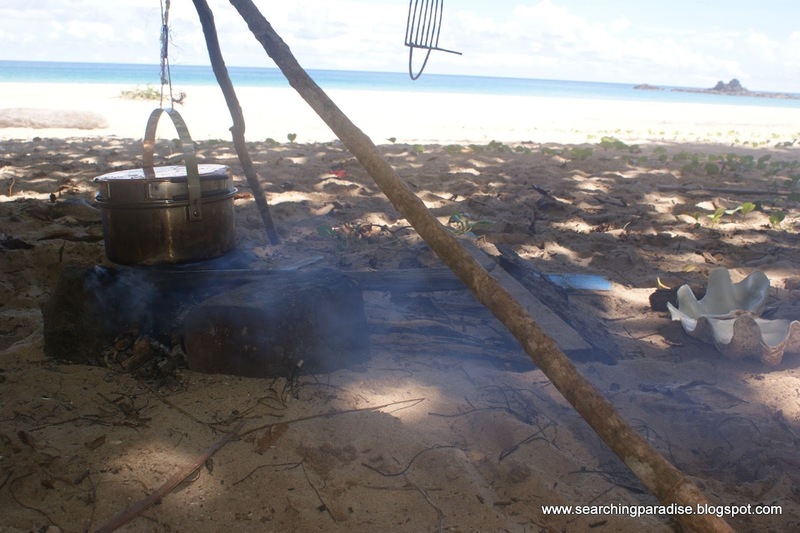 In Search of Paradise: Tropical Desert Island Survival- Step by Step. Tropical Desert Island Survival- Step by Step. First thing you need to do is to find The Island. Does it sound easy? Trust me, it is not. This is the HARDEST step on your way. I will not tell you where My Island is. Let it be my secret. 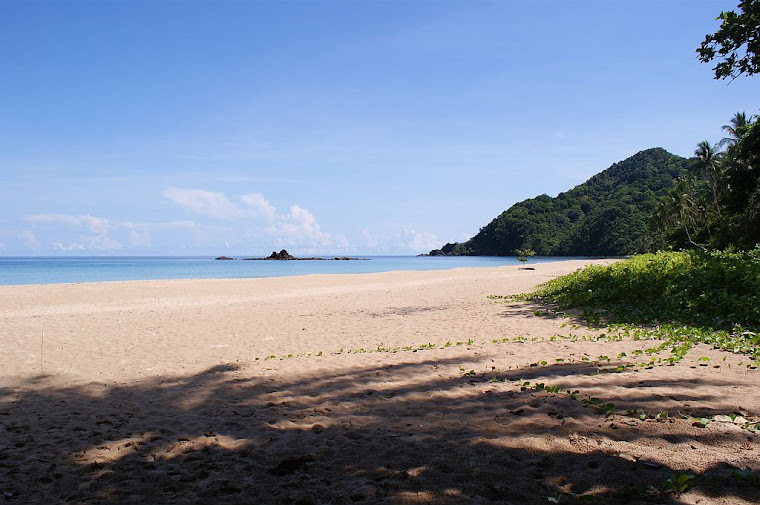 I will only tell you it is one of the islands which lay around Palawan. The problem is that basically ALL of the tropical islands belong to someone. They are either private or in the national parks’ area where you simply cannot just go and camp. Well, you could do it but it would be rather illegal. My stay on My Island was not completely legal, but I don’t want you to get into the trouble. So, how to find The Island? I would suggest Philippines as the tourism in other SE Asia countries is way too developed. Although you might find The Island it will be really hard to escape the people. You want it to be DESERTED Island, right? South Pacific would be great but it is too far and too expensive to get there. WATER. You will not find it on The Island. EVERY tropical island with any source of fresh water is already developed. So, you need to take the water with you or make the sea water drinkable. You can use a solar still etc. but this information you can find in the Internet. I took 60 liters of water for two weeks which is 4 liters a day. You will need that amount of water daily, trust me. FOOD. Well, it is up to you what and how much you will take. If you are going for two weeks, you don’t need the food as you could survive. (this is true but please do not try it at home (at The Island) :)) I think rice is the best bet. I had 7 kilograms of rice with me which is half a kilo per day. Enough, in the tropical and humid climate your appetite will go down. Add to this the stress of being ALONE in the middle of nowhere- you will not think about food! You can boil the rice in the sea water- don’t need a salt! Some garlic and onions will make your meals exclusive! Every day! For the rest of your stay on The Island! Yummy! SHELTER. Do not take a tent. The humidity will make it damp inside. Best bet- hammock, mosquito net and tarpaulin above it all. 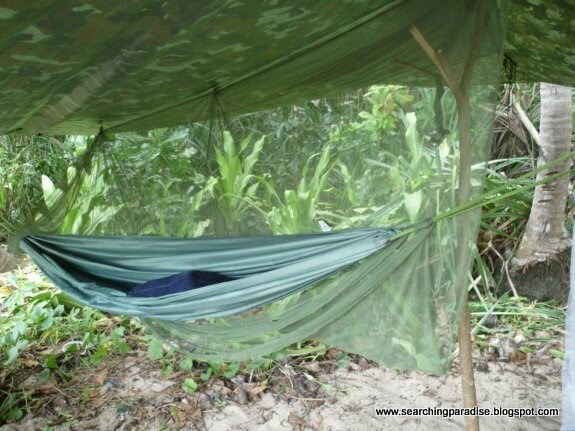 You just need two trees (be careful to not hang your hammock under the palm tree with a coconuts directly above you), stretch your hammock between, stretch a cord just above the hammock over which you lay a mosquito net. Then roof- 3.5 meters x 3 meters tarp does the job. Did you try to sleep in the hammock before? No? You will love it! So, now you are on The Island, you have all basics needed to survive there, but, what to do with your free time? I love fishing and had a spear gun with me; the problem is that it broke after one day. So my advice is- do not take the things with you which can break and on which your survival will depend totally. I was lucky I had rice, if I would take only spear gun and think that I can catch a fish and survive, well, I would not survive. 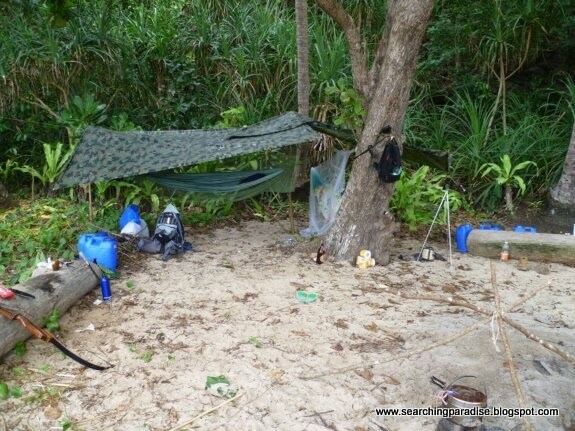 I read your blog post about survival in a deserted island and its really informative especially bringing tarpulin instead of tent, and one more thing I thought those deserted island usually dont have any mobile signals will may be i was wrong.. 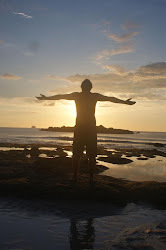 I just happened to read your blog then im on the midst of reading the message of Sir James from Journeyingjames blog site, and it really amazing reading things about travel places and experiences during your journey. Hoping you'll continue on what you were doing since I believe you really put your heart on it. Thanks for for your time spending on reading my blog. Yeah, tarp is really good stuff, lightweight, easy to erect and totally waterproof!